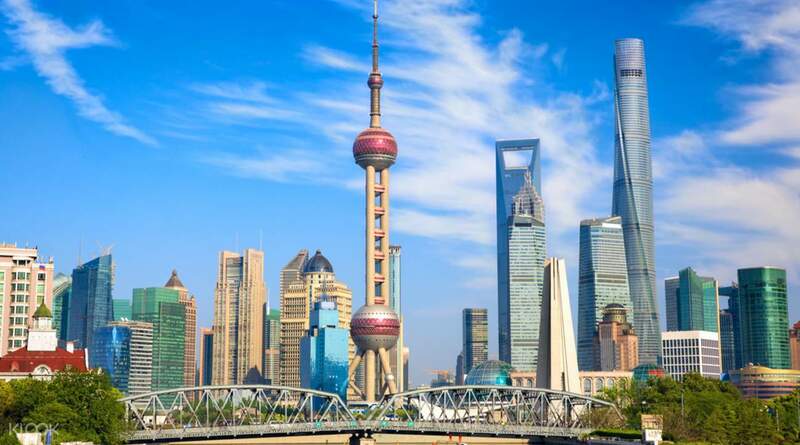 Don't miss the iconic Oriental Pearl Tower and Huangpu River Cruise in Shanghai! The driver arrived on our hotel on lobby on time and we were able to complete our itinerary within 8 hrs. the downside is the total of the parking and meal fees of driver were expensive. Get US$3.4 back in Klook credits for your next trip when you book this activity! Complete this Klook activity to get 5% of the activity cost back in free credits to use on your next booking. For example, book US$68.65 to get US$3.4 free credits. Visit Oriental Pearl Tower, the Bund, Nanjing Road, Jade Buddha Temple and more on a private car hire. With an 8 hour full day package, you will be serviced by a professional driver who will pick you up from your hotel in your choice of a 3 seater sedan, a 4-7 seater mini van, or even a 15 seater mini bus for large groups. You will be taken to the list of attractions or spots that you wish to visit while in Shanghai. If you need suggestions from a local, the driver will be more than happy to provide you with insight. At the end of your scheduled trip, you will be dropped off back at your hotel. 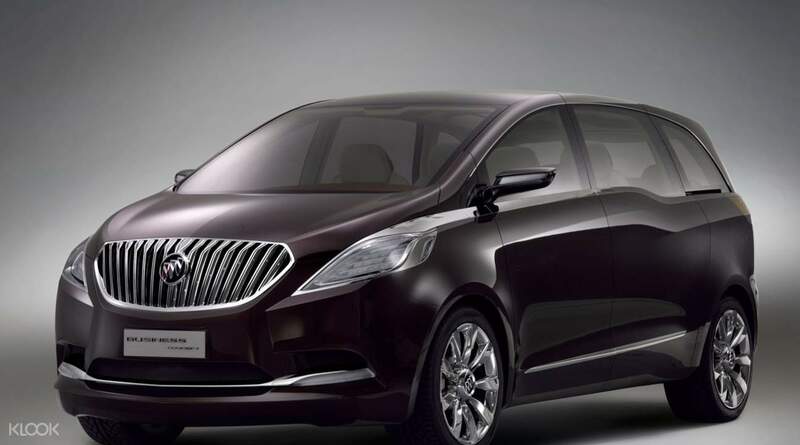 A private car hire is the easiest and most convenient way to explore one of China's busiest cities! 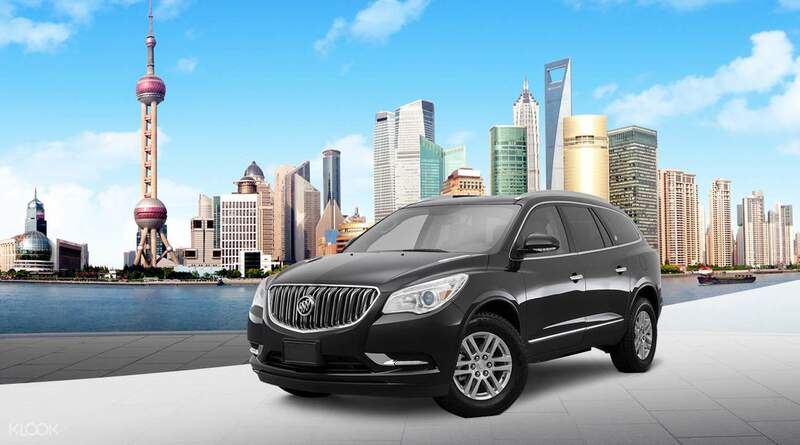 Take a ride on this car for a totally comfortable sightseeing experience of the city! The driver arrived on our hotel on lobby on time and we were able to complete our itinerary within 8 hrs. the downside is the total of the parking and meal fees of driver were expensive. The driver arrived on our hotel on lobby on time and we were able to complete our itinerary within 8 hrs. the downside is the total of the parking and meal fees of driver were expensive. Our driver met us at the hotel lobby on time. He first discussed with me about our schedule on the day. He then pulled over his car which was clean and comfy. We have a party of three sitting in this MVP for 7people is really a luxury. I used wechat to communicate with the driver about pick up and he was always ahead of time waiting for us. He also always tried to unload us at the most convenient gate at our destination. He always waited for us patiently and never fell into sleep or wondered away. I will have his help again next time I am in Shanghai!! Our driver met us at the hotel lobby on time. He first discussed with me about our schedule on the day. He then pulled over his car which was clean and comfy. We have a party of three sitting in this MVP for 7people is really a luxury. I used wechat to communicate with the driver about pick up and he was always ahead of time waiting for us. He also always tried to unload us at the most convenient gate at our destination. He always waited for us patiently and never fell into sleep or wondered away. I will have his help again next time I am in Shanghai!! Driver was prompt and knew his way around town, and also helped to recommend areas to visit based on our interests. Driver was prompt and knew his way around town, and also helped to recommend areas to visit based on our interests. Great service, driver is professional and very friendly. Doesn't speak too much English, but able for basic communication. Great service, driver is professional and very friendly. Doesn't speak too much English, but able for basic communication. Klook actually arranged the same driver for me as my airport pick-up which is great. The only disappointing part is that they actually charge you additional for parking fees. I thought by having a driver he could wait around but turns out he will park at places while waiting for us. If that’s the case, I should have just taken a taxi around which may actually be cheaper in the end. Klook actually arranged the same driver for me as my airport pick-up which is great. The only disappointing part is that they actually charge you additional for parking fees. I thought by having a driver he could wait around but turns out he will park at places while waiting for us. If that’s the case, I should have just taken a taxi around which may actually be cheaper in the end. Very accomodating driver but hard to communicate since he’s not good in english but he tried to speak and explain whenever i have questions. I suggest that they include the meal allowance of the driver in the package. Very accomodating driver but hard to communicate since he’s not good in english but he tried to speak and explain whenever i have questions. I suggest that they include the meal allowance of the driver in the package. Great service! Had to find some locations that were not easy to locate but did it without complains! Great service! Had to find some locations that were not easy to locate but did it without complains!